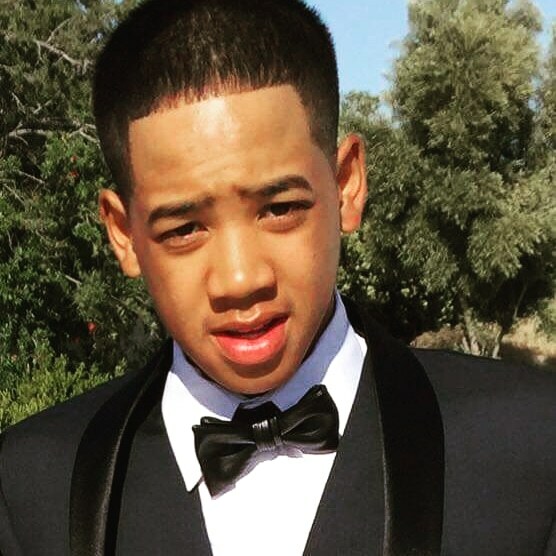 Shyheed A. Rasheed, age 19, of Cabazon, CA and formerly of Banning, CA, passed away on April 10, 2019. Shyheed was born to his parents Ameir A. Rasheed and Aily Yang on October 19, 1999, in Riverside, CA. He was in the Dual Immersion program and graduated from Banning High School in 2017. Shyheed was involved with the Pass Redskins & Lil Beaumont Cougars and was a Jr. All American Football Star Running Back. He had a role on TV show How I Met Your Mother”, worked in Retail Sales and was of Muslim faith. Shyheed is survived by his mother, Aily Yang of Cabazon, CA; father, Ameir A. Rasheed of Chino Hills, CA; brother, Khallid A. Rasheed of Cabazon, CA; niece, Zariah Violetta. He was preceeded in death by his sister, Sofia Rasheed of Cabazon, CA. Viewing will take place at Wiefels & Son Mortuary, 50 E. Nicolet St., Banning, CA, Friday, April 19, 2019, from 9:00 am - 11:00 am with Celebration of Life to begin at 11:00 am. Burial will immediately follow at the United Islamic Youth Cemetery, 12700 Morning Glory Rd., Adelanto, CA. There's still time to send flowers to the Celebration of Life at the Wiefels & Son Memorial Chapel at 11:00 AM on April 19, 2019.